Draft: 2012, Colorado Rockies, CAth rd. Eddie is in his second season with the Cubs after he was acquired from Colorado, February 1, 2017 ... made his major league debut with the Rockies in 2014 and has spent parts of the last four seasons in the majors ... is 10-19 with a 5.85 ERA (139 ER/214.0 IP) in 49 big league games (39 starts)... Has gone 34-25 with a 3.23 ERA (191 ER/532.1 IP) in 95 minor league games, all but one as a starter, since making his debut with the rookie level Grand Junction Rockies in 2012... Named a Texas League mid-season All-Star in 2014 with Tulsa ... in 2013, was named a Baseball America Minor League All-Star and was also selected to the All-Star Futures Game ... was a post-season All-Star with Grand Junction in 2012... Attended Radford University (Va.) where he was named Big South Conference Co-Pitcher of the Year and became the first player in Big South history to be selected in the first round of the MLB draft. Eddie split the season between Triple-A Iowa and the Cubs, totaling 21 games pitched (19 starts) and 100.1 innings between the clubs ... with Chicago, was 4-3 with a 3.95 ERA (24 ER/54.2 IP) in 13 games (11 starts)... Promoted to Chicago, May 12, and remained until July 17, when he was optioned back to Iowa... Recorded a 2.83 ERA (9 ER/28.2 IP) in seven games (six starts) at Wrigley Field ... posted a 5.19 road ERA (15 ER/26.0 IP) in six games (five starts)... Made his Cubs debut, May 12 in St. Louis, and tossed 6.0 shutout innings. w Was the first Cubs pitcher to toss at least 6.0 shutout frames in his club debut since Ryan O'Malley (8.0 IP, 0 R) on August 16, 2006 vs. Houston... Posted a 1.93 ERA (3 ER/14.0 IP) in his first three starts, May 12-25 ... however, recorded a 6.10 ERA (14 ER/20.2 IP) in his next four starts, going 2-2, from May 30-June 16... Pitched to a 3.15 ERA (7 ER/20.0 IP) in six games (four starts) from June 21-July 15 before he was optioned to Iowa for the remainder of the season... Was placed on the seven-day minor league disabled list, August 7-September 19, with right shoulder tendinitis. Eddie split the season between Triple-A Albuquerque and Colorado, appearing in a career-high 32 combined games ... Went 2-5 with a 7.17 ERA (51 ER/64.0 IP) in 17 games, including nine starts, with the Rockies ... his eight relief outings marked his first relief appearances in the majors ... Tossed three quality starts with Colorado, including 6.0-scoreless innings May 8 at the Giants (2-0 win) ... struck out a career-high six batters in the win ... In 15 starts at Triple-A, he went 8-3 with a 4.45 ERA (44 ER/89.0 IP). Made 17 starts for the Rockies in his first season on the Opening Day roster, going 3-10 with a 5.90 ERA (79.1 IP, 52 ER). Was 2-1 with a 3.27 ERA (22.0 IP, 8 ER) in his frst four starts, and then went 1-5 with a 5.85 ERA (32.1 IP, 21 ER) over his next seven games before being optioned to Triple-A Albuquerque June 9. Recalled on June 19 and made fve starts with the Rockies in his second stint with the club, going 0-4 with a 8.28 ERA (25.0 IP, 23 ER). Was credited with a complete-game loss in a rain-shortened game vs. Los Angeles-NL May 8 … allowed two runs on five hits with four walks and three strikeouts before the game was called in the top of the sixth inning. Notched two quality starts in 2015 … held the Phillies to one run on four hits over six innings on May 30 in Philadelphia, and allowed three runs on six hits to the Reds July 24 in Denver. Of his three wins, two came against San Francisco, April 13 at San Francisco and April 24 at Coors Field … was 2-0 with a 3.18 ERA (11.1 IP, 4 ER) vs. San Francisco, 1-10 with a 6.35 ERA (68 IP, 48 ER) vs. all other opponents. Made his Major League debut for the Rockies during the 2014 season...he became the 28th starting pitcher in franchise history to make his Major League debut for the Rockies...Butler made his Rockies debut on June 6 vs Los Angeles - NL...he took the 7-2 loss going 5.1 innings and allowing six runs on 10 hits...he became the first Rockie to start a game in his debut since RHP Chad Bettis on Aug. 13, 2013 at Atlanta and the first Rockie to start a home game in his debut since LHP Edwar Cabrera on June 27, 2012 vs. Washington...Following his first start, Butler was placed on the 15-day DL with right rotator cuff inflammation on June 9 and spent over a month there before being removed form the DL and optioned on July 19...he was again recalled on Sept. 16...Butler picked up his first Major League win on Sept. 20 vs. Arizona...Eddie had his first career quality start, allowing one run over 6.0 innings (5 H, BB, SO)...The Chesapeake, Va. native made 20 starts this season between Single-A Modesto (1), Double-A Tulsa (18), and Triple-A Colorado Springs (1)...he went a combined 6-10 with a 3.99 ERA (117.1 IP, 52 ER) with 40 walks and 80 strikeouts...Butler helped lead Tulsa to their first Texas League Championship Final since 2002, as the Drillers finished as the league runner-up in the Texas League...Eddie made three starts during the Texas League playoffs, including two in the Championship Series...he went 0-2 in 15.2 innings with a 4.02 ERA (15.2 IP, 7 ER) during the TL playoffs. Made stops at three different levels this season, finishing the year with Double-A Tulsa...went a combined 9-5 with an organization-best 1.80 ERA (149.2 IP, 30 ER) in 28 starts...started the season in Single-A Asheville and went 5-1 and a 1.66 ERA (54.1 IP, 10 ER) in 9 starts before moving to the High-A Modesto Nuts in the California League...Posted a 3-4 record and 2.39 ERA (67 IP, 18 ER) in 13 starts for Modesto...finished the season with Tulsa, where he was 1-0 with a 0.65 ERA (27.2 IP, 2 ER)...Was a Futures Game Selection where he tossed a scoreless inning of relief and struck out one...Rated as the 17th-best MLB prospect by ESPN's Keith Law and the 2nd-best Rockies prospect by Baseball America...Baseball America also recognized him as having the Best Changup and Best Slider in the Rockies. Had a league-best 2.13 ERA (67.2 IP, 16 ER) while at Short Season Grand Junction, along with a league low .228 opponents average (57-for-250) among starters...his seven wins were tied for third in the Pioneer League...rated the 6th-best prospect in the Rockies organization by Baseball America and the Best Fastball by the same publication. November 21, 2018 RHP Eddie Butler elected free agency. 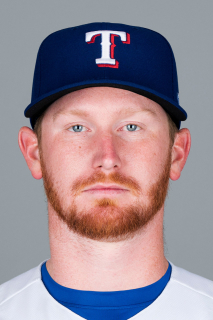 November 20, 2018 Texas Rangers sent RHP Eddie Butler outright to Nashville Sounds. July 24, 2018 Chicago Cubs activated RHP Eddie Butler from the 60-day disabled list. June 30, 2018 Chicago Cubs sent RHP Eddie Butler on a rehab assignment to Iowa Cubs. June 11, 2018 Chicago Cubs transferred RHP Eddie Butler from the 10-day disabled list to the 60-day disabled list. Right groin strain. April 20, 2018 Chicago Cubs placed RHP Eddie Butler on the 10-day disabled list. Right groin strain. October 20, 2017 Chicago Cubs activated RHP Eddie Butler. October 6, 2017 Chicago Cubs reassigned RHP Eddie Butler to the minor leagues. October 2, 2017 Chicago Cubs recalled RHP Eddie Butler from Iowa Cubs. August 8, 2017 Iowa Cubs placed RHP Eddie Butler on the 7-day disabled list. July 18, 2017 Chicago Cubs optioned RHP Eddie Butler to Iowa Cubs. May 12, 2017 Chicago Cubs recalled Eddie Butler from Iowa Cubs. May 6, 2017 Iowa Cubs activated RHP Eddie Butler from the 7-day disabled list. April 27, 2017 Iowa Cubs placed RHP Eddie Butler on the 7-day disabled list. March 27, 2017 Chicago Cubs optioned RHP Eddie Butler to Iowa Cubs. February 1, 2017 Colorado Rockies traded RHP Eddie Butler to Chicago Cubs for James Farris. January 28, 2017 Colorado Rockies designated RHP Eddie Butler for assignment. September 6, 2016 Colorado Rockies recalled RHP Eddie Butler from Albuquerque Isotopes. July 5, 2016 Colorado Rockies optioned RHP Eddie Butler to Albuquerque Isotopes. April 27, 2016 Colorado Rockies recalled Eddie Butler from Albuquerque Isotopes. March 18, 2016 Colorado Rockies optioned RHP Eddie Butler to Albuquerque Isotopes. October 5, 2015 Colorado Rockies recalled Eddie Butler from Albuquerque Isotopes. August 14, 2015 Colorado Rockies optioned RHP Eddie Butler to Albuquerque Isotopes. July 19, 2015 Colorado Rockies recalled Eddie Butler from Albuquerque Isotopes. June 9, 2015 Colorado Rockies optioned RHP Eddie Butler to Albuquerque Isotopes. September 22, 2014 RHP Eddie Butler assigned to Salt River Rafters. September 16, 2014 Colorado Rockies recalled Eddie Butler from Tulsa Drillers. July 19, 2014 Colorado Rockies optioned RHP Eddie Butler to Tulsa Drillers. July 18, 2014 Colorado Rockies sent RHP Eddie Butler on a rehab assignment to Colorado Springs Sky Sox. July 12, 2014 Colorado Rockies sent RHP Eddie Butler on a rehab assignment to Modesto Nuts. June 6, 2014 Colorado Rockies selected the contract of RHP Eddie Butler from Tulsa Drillers. February 4, 2014 Colorado Rockies invited non-roster RHP Eddie Butler to spring training. August 2, 2013 RHP Eddie Butler assigned to Tulsa Drillers from Modesto Nuts. May 23, 2013 Eddie Butler assigned to Modesto Nuts from Asheville Tourists. March 30, 2013 Eddie Butler assigned to Asheville Tourists from Grand Junction Rockies. June 15, 2012 Colorado Rockies signed RHP Eddie Butler.